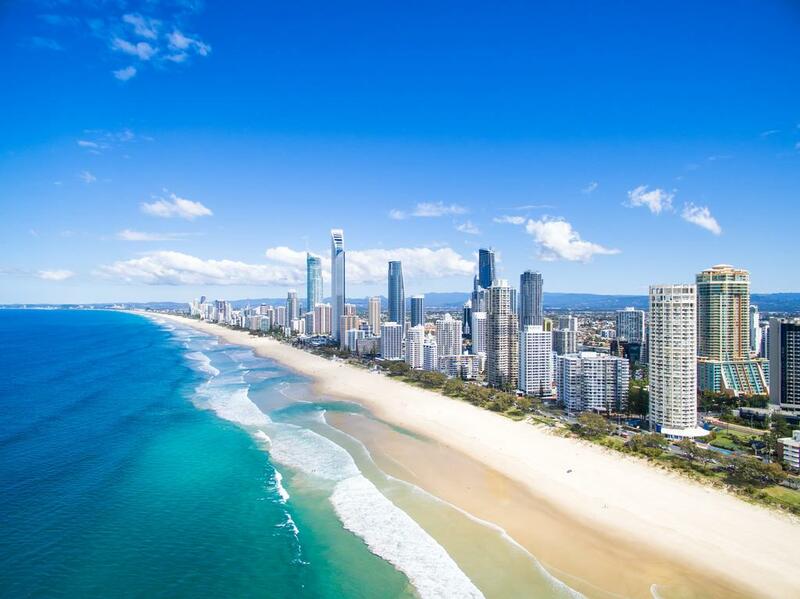 We moved onto Queensland today to the Gold Coast. We stayed at Paradise Resort in Surfer´s Paradise. It seemed more laid back than Sydney and maybe this will reflect the further North we go. A nice resort with some good facilities. We eat out the first night altogether at the "Beach Bar" which also had karaoke which some people participated in and Shane (tour leader) and Chrissy (hostess) did a duet! Afterwards a few of us went onto a club and were delighted when we were asked to show ID (well not Me and Wayne)! It reminded us of an English seaside resort as it also had arcade places and fairground rides scattered around. There were many themeparks. We went to Wet n´Wild which was good. They had some brilliant rides but just not enough and after a couple of hours we had done everything. That night we all had a buffet dinner in the restaurant which wasn´t very good- to be polite! Went out afterwards to a few bars and ended up in "The Avenue" until the early hours.